the KentFolk Web Page, Calendar and App. See KentFolk on Facebook too! Want rapid access to info on the Kentish music scene ? 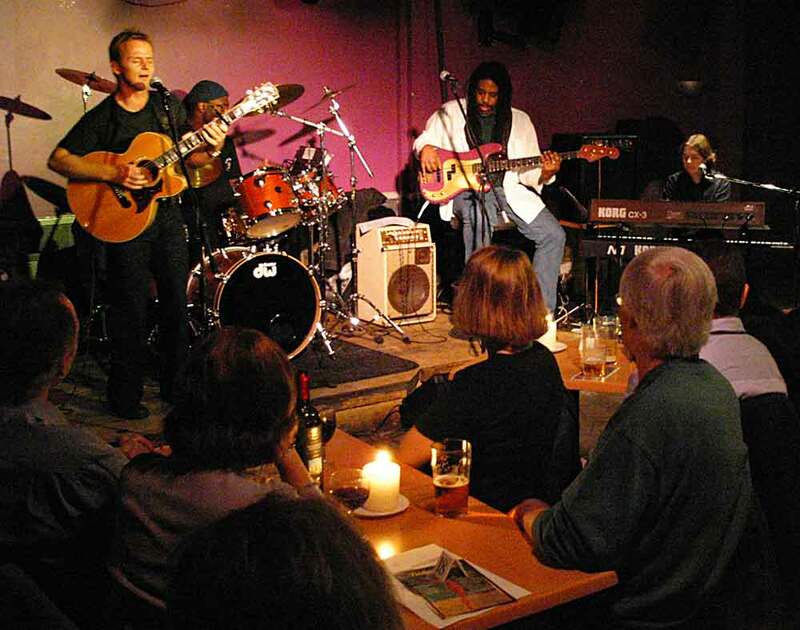 Add "KentFolk.com for Live Music in Kent" to your iGoogle page. Click on the [+Google] button to add this KentFolk Gadget to your iGoogle homepage. It will help take you into the depths of the KentFolk site, hopefully directly to the pages most relevant to your interests. Scroll down on the gadget to see the latest news items, without even having to leave your iGoogle home page. Search the Smithsonian Folkways catalog with their interactive Google music map. Select a region to find a complete list of recordings from that area (s.si.edu/ge79e). On KentFolk you will find Live Music event calendars, Music Session and Open Stage listings, and News about Live Music events. On KentFolk there are also photos and MP3 music files for local artists, with many more to come as I have the time. KentFolk now has recorded numerous live Kentish gigs - a number are in part on the web page, some exist as CDs, see the MP3 Music pages. Some of KentFolk's 150 or so quality venues are starting to show up on Google Local : Google Local Map, but remember most also have a postcode link that you can follow through to a MultiMap. Kentfolk is still hosted on canterbury-kent.com - but should now be only directly accessed via the 'correct' address of http://www.kentfolk.com, which will take you to the latest pages. If you have the old kentfolk.canterbury-kent.com address bookmarked, please now bookmark http://www.kentfolk.com to access the current calendar and news pages. KentFolk now has "buy" buttons for Kentish musicians' CDs, on the MP3 music section - listen before you buy. Musicians - please contact me regarding selling your CDs on KentFolk. Once again you can buy tickets for events on KentFolk - there is also now a "bulk buy" PayPal button just below this section, for buying CDs or event tickets. You can now pay for them over PayPal without being a PayPay menber, using your credit card, which may simplify things. Please also contact me if you have event tickets you would like to sell via KentFolk. I have put the event table formats that I use to construct the calendar at the bottom - that is the easiest for me to work from, but don't worry if you have some other format you wish to use. If you find this web page of use, tell the publicans - this will help ensure that the web page does not die an early death. Tell your friends about it! 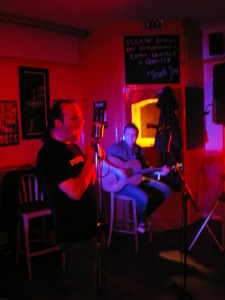 - http://www.kentfolk.com is for live music in Kent! in East Kent, mostly on the third Friday of the Month, 8:30pm. March - no event - too many conflicting events on 3rd Friday. who will be over, touring, from the Southern States. Master Irish fiddler Tommy Peoples from Donegal accepted an invitation from KentFolk to visit the South East of England in the Autumn of 2009, as a Fiddlers Various special event. Tommy gave a concert on Friday 11th September at the Camden Irish Centre in London, held an all-day fiddle workshop at the Lewes Saturday Folk Club (formerly the Lewes Arms Folk Club), Lewes, near Brighton, Sussex, on Saturday 12th September, 2009, and then give a recital during the evening folk club. 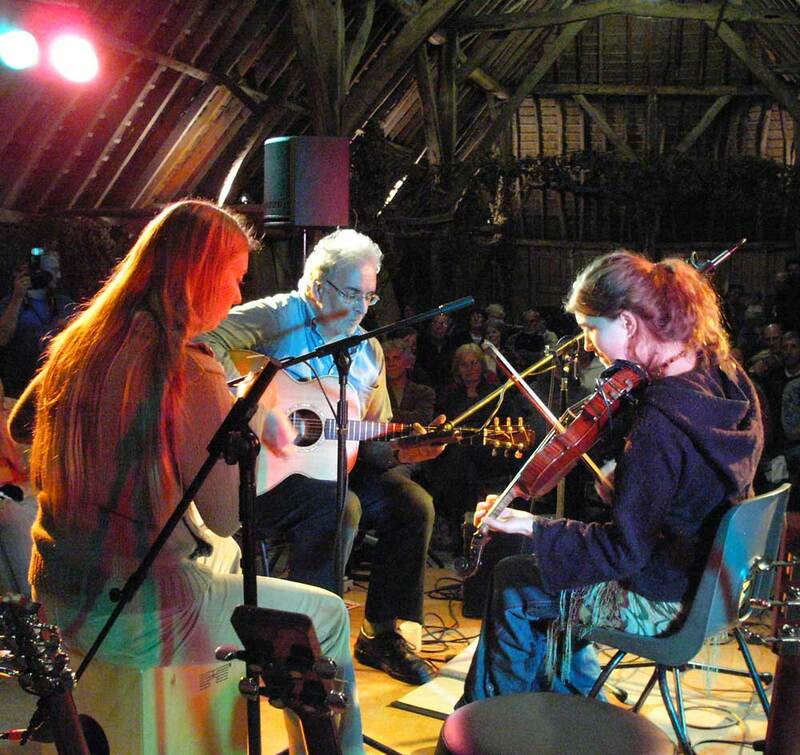 The following day, on Sunday 13th September, 2009, Tommy Peoples came to Kent, and held an afternoon's workshop at the excellent Littlebourne Thatched Barn, near Canterbury, followed by a full evening concert. Fiddlers Various 2009 - Photo Report. 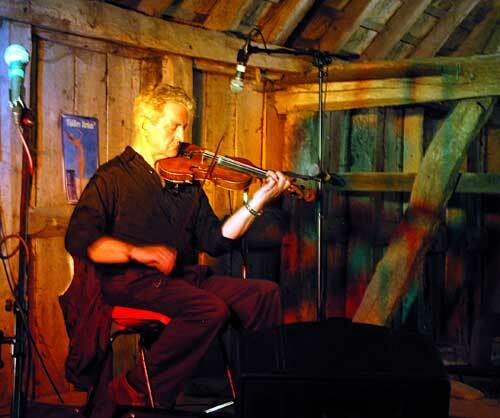 KentFolk invited the fiddler Yves Langlois back from his new home in France, to fiddle for a Cajun Dance, held in Littlebourne Thatched Barn, together with multi-instrumentalist Chris Taylor. 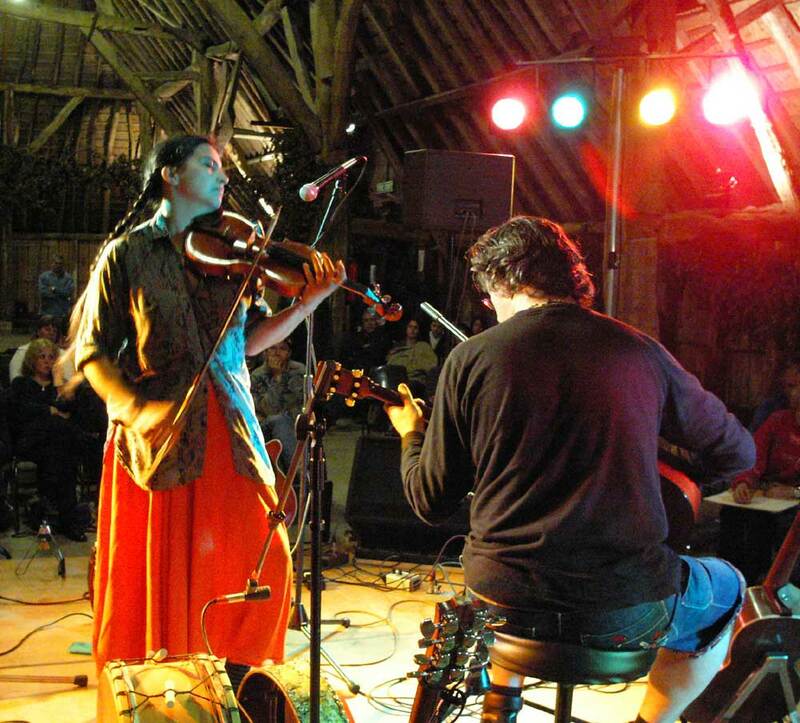 KentFolk tried to build a Summer fiddle gig in Littlebourne Barn, but ended with setting-up some pub gigs with Kentish fiddler Laura Targett, in the Wrotham Arms and the Barnaby Rudge. Laura also had a gig in the excellent Steiner School concert hall. Laura was on a flying visit from the fiddle circuit in Australia. Master Irish fiddler Tommy Peoples from Donegal accepted an invitation from KentFolk to visit the South East of England in the Summer of 2007, as a Fiddlers Various special event. After a concert en route in Newport, Wales, on Wednesday 6th June, Tommy gave a concert at the London Irish Centre in Camden, on Friday 8th June 2007. Tommy then held an all-day fiddle workshop at the Lewes Arms, Lewes, near Brighton, Sussex, on Saturday 9th June, 2007, and then gave an evening concert. 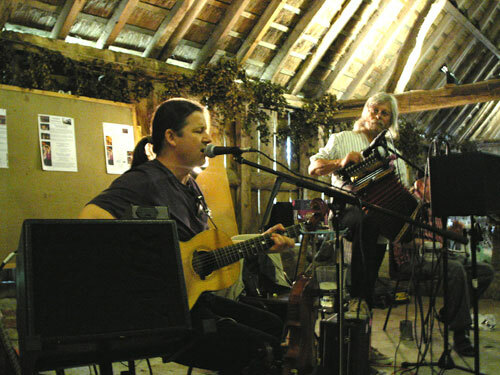 The following day, on Sunday 10th June, 2007, Tommy Peoples came to Kent, and held a full afternoon's workshop at the excellent Littlebourne Thatched Barn, near Canterbury, followed by an evening concert. On Monday 11th Tommy played in The Barge, Gillingham. Saskia Tomkins and Steafan Hannigan are current and recent All Britain Fleadh winners for Fiddle (Slow Air), Uilleann Pipes, Flute, Whistle, and Bodhran. Now resident in Canada, they are visiting the UK and the continent. Saskia and Steafan held workshops in Littlebourne Thatched Barn for Fiddle, Whistle & Bodhran, within the Celtic, Cajun, Eastern European and Gypsy Jazz genres. 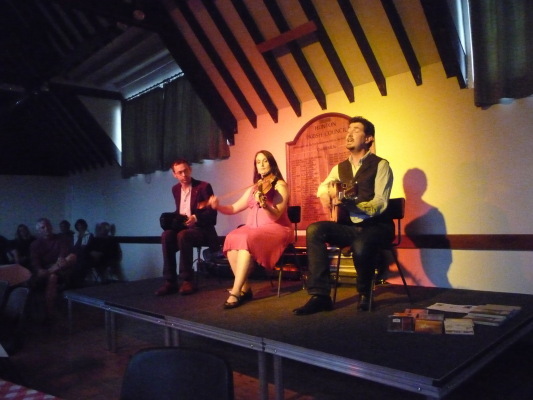 Saskia and Steafan gave a concert in Littlebourne, near Canterbury, featuring Celtic, Cajun, Eastern European and Gypsy Jazz music. Sat. 7th May 2005 - a Spring Cajun Dance, in Littlebourne thatched Barn, Only one chair left unsold - but everyone was dancing, so no possible problem there, an excellent evening. Fri. 3rd June 2005 - Saskia Tomkins in the King William IV in Littlebourne. Sun. 5th June 2005, 10am - Fiddle Workshop, led by Ben Paley. Sun. 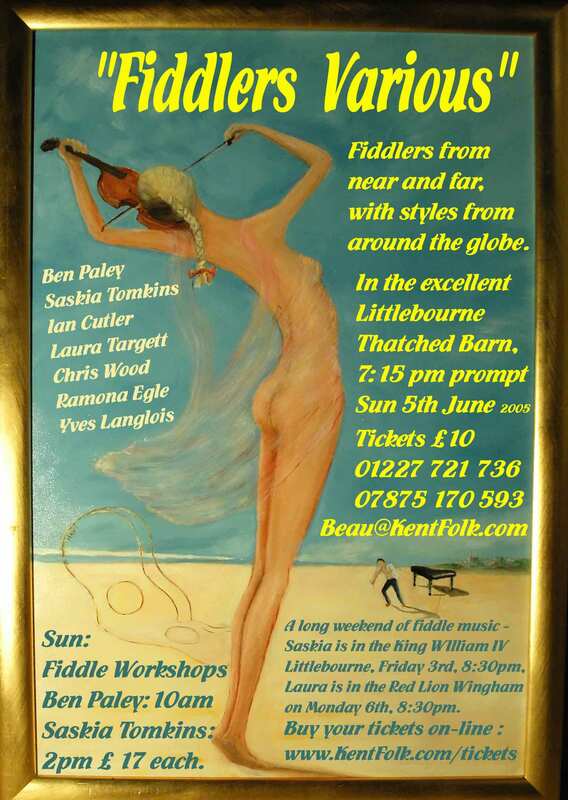 5th June 2005, 2pm - Fiddle Workshop, led by Saskia Tomkins. Sun. 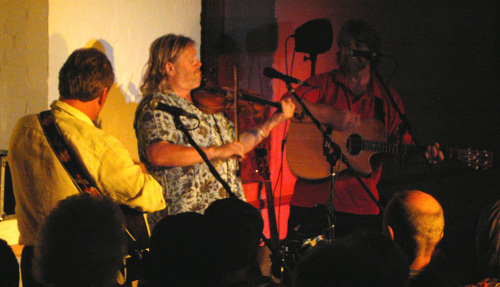 5th June 2005, 7:15pm - "Fiddlers Various" Showcase in the Thatched Barn, Littlebourne. Mon. 6th June 2005 - Monkey Puzzle with Laura Targett in the Red Lion in Wingham. "Curry and Ceilidh". And the legendary Steáfán Hannigan (all British uillean pipe champion and virtuoso bodhran player) came down for the weekend, and he and multi-instrumentalist Chris Taylor accompanied the fiddlers during the Fiddle Showcase. And a brilliant weekend it was - everthing I hoped and more. U16b: Sunday 16th October 2005, 2pm -a fiddle concert with Chris Haigh and accordionist Alan Dunn : an evening concert: "Fiddling around the World". which allows me to specify a choice of key words to be applied to uploaded events, with direct Google listing and searching by date and location, as well as added Google Maps. i.e. 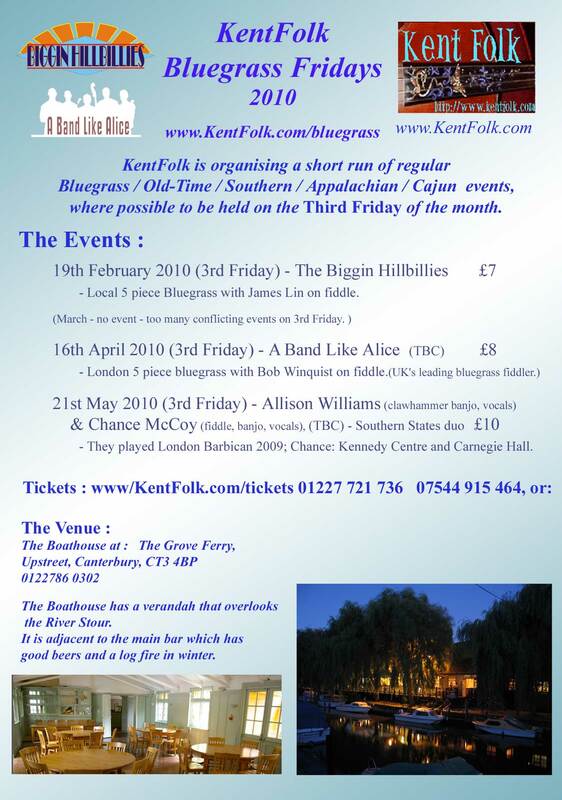 you can go to http://google.co.uk/base and browse "Events and Activities"
In the earliest days of KentFolk, an advertising banner was a required part of the hosting package I was using. That went, but I kept music related "Link-Exchange" banners on the site, in exchange for which the KentFolk banner was displayed on other music sites. Google have been increasingly targetting their adverts even better, until they are now quite useful. Visiting other websites, I frequently find the adverts to be relevant and worth following. Thus I have finally decided to try them on KentFolk. And am now trying Google referal, like the buttons below. Your comments are very welcome. Some of these will help you to search Kent Folk better, edit selected photos, and generally improve your web experience. select postage or not, enter your address, complete the transaction. You should get an explicit message from KentFolk of the success or failure of the transaction. To make a combined CD order, saving on postage and transaction charges, please email me with the details of the CDs you would like, and where they are to be posted to. I will confirm if the CDs are currently available, and give a total price including combined postage and transaction cost, then complete the payment as above. Pay by Secure PayPal and/or Credit Card. I have now written programs that can read gig list information directly from certain web pages (with the authors' permission), and this is now the easiest way for me to update the calendar; however I am also pleased to receive gig information by email, preferably in the same formats. For both of these I thus now prefer certain simple formats that my programs can read directly, without me having to hand edit each set of information. Gig news by popular request is now on sub pages, like many other parts of KentFolk, to speed loading of the calendar. A4 KentFolk poster as PDF (344kB). A3 KentFolk poster as compressed postscript (13.5MB). 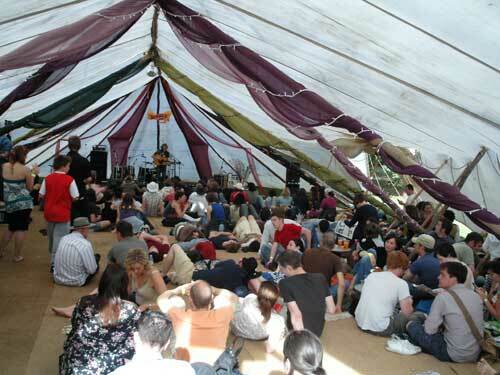 KentFolk now has recorded numerous live Kentish gigs - a number are in part on this web page, some exist as CDs. KentFolk has "buy" buttons for Kentish musicians' CDs, on the MP3 music section - listen before you buy. I have also recently gained the technology to sell MP3 tracks direct from KentFolk. In addition I am now working with eFolkMusic in the USA to bring you Kentish musicians' tracks and Digital Albums. 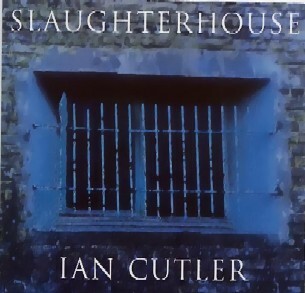 Musicians - please contact me regarding selling your CDs on KentFolk, though I am currently well behind in placing these and MP3 tracks on this web page. Follow the link to see this photo archive. Click on the links for MP3 music dowloads. Click on the link for MP3 music downloads. Click on the pictures to follow the links to photo-reports with further pictures. KIF 5027 2005-03-14 French+European session, The Rose, Wickhambreux, Kent, UK. Littlebourne and neighbouring villages, Kent. A wide-angle shot of the interior of the barn. Click on the pictures to follow the links to photo-reports with further pictures, downloadable MP3 music, and event CDs. KIF 9097to9100 - A vista of deeply experienced musicians in the King & Queen, Sunday lunchtime. Click on the pictures to follow the links to photo-reports. South East of England, 2007. 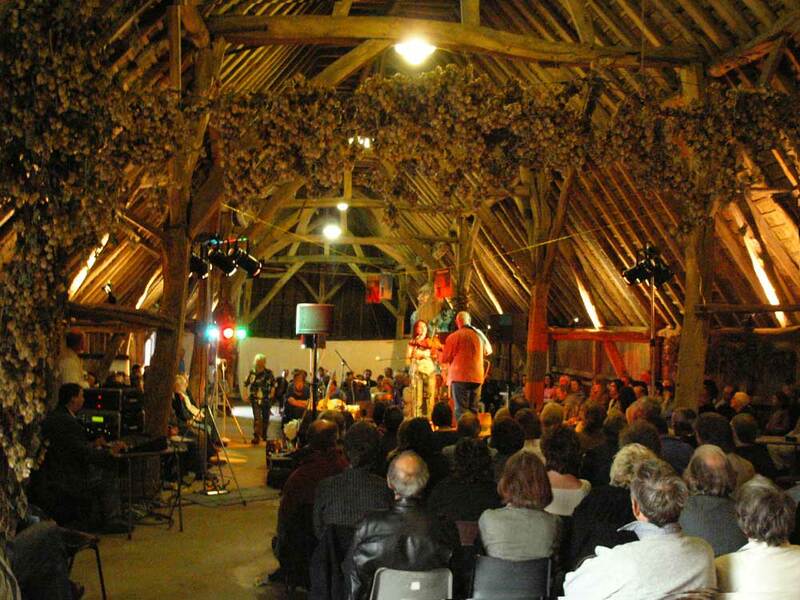 KIF_3058 Tommy Peoples, Littbourne river giants + audience in Littlebourne thatched barn. KIF_3074 Tommy Peoples Littlebourne Barn. Click on the pictures to follow the links to gig-reports. with further pictures, downloadable MP3 music, and event CDs or Digital Albums. RedEye, with Trevor on guitar, lap-slide guitar and washboard, and Chris Taylor on guitar, bouzouki, harmonica and accordion. - a great sound as always from these guys. Here the Board-Walk Hoofers strut their stuff. Groanbox Boys, Sweeps Festival, Rochester, 2008. 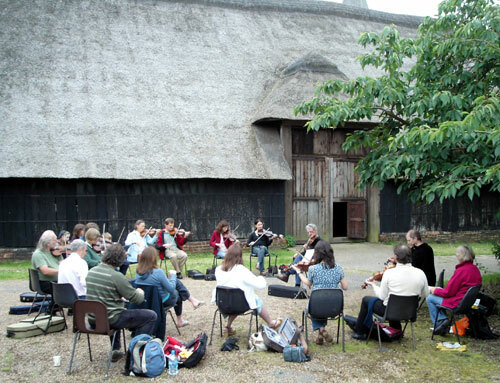 Folk in the Barn, 2008. Debs built this excellent trio for a one-off gig - thanks !. The Annual Traditional Music Session in Simple Simons for Hope College. Deal Friday Folk Club, 2008. Two Kentish Master Musicians go on the road again. Yves Langlois on fiddle, and Chris Taylor on guitar, bouzouki, harmonica and accordion. - Some of the best Cajun music going. Another excellent Cajun dance in the Littlebourne Thatched Barn. St. Mary's Church, Sandwich, 2008. The Dealers on stage in St. Mary's, Sandwich. - A very remarkable concert. 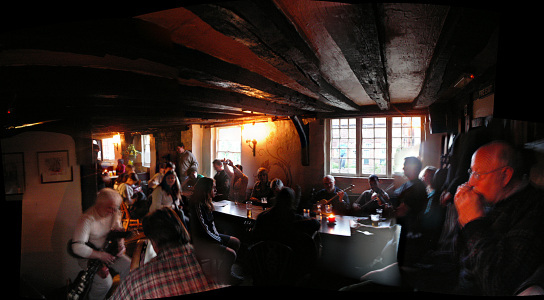 Open Harp Surgery at The Barnaby Rudge, Broadstairs, 2008. Nigel and Russell relaxing after the concert with The Dealers. Laura Targett back from Australia, on one of her rare visits. A most excellent Folk Week. A good way to end Folk Week. The masters back at the Wrotham Arms. Kent hottest new act try a new line-up. 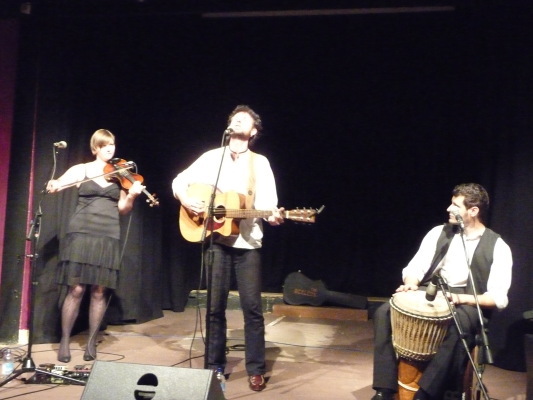 TerraFolk deliver an excellent up-tempo and well animated gig. 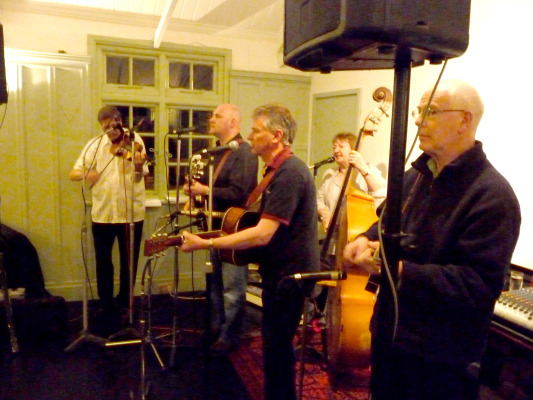 A good gig from north of the Border - Orkneys & Shetlands. A whirlwind tour of the Americas, mostly near or south of the Border. Click on the pictures to follow the links to gig-reports. with further pictures, video, downloadable MP3 music, and event CDs or Digital Albums. Deal Friday Folk Club, 2009. The Celtic Session gets a warm welcome at the Yew Tree, Barfreston. 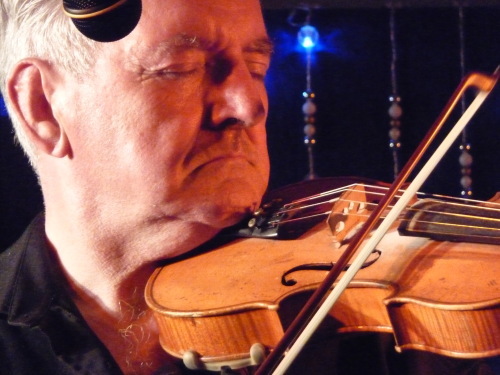 Legendary Donegal fiddler Tommy Peoples comes to Kent. The Boathouse - Grove Ferry Inn, 2010. Cecil Sharp House, London, 2010. An evening with some of the best fiddle players around. Coffee & Corks, Kings-Mile, Canterbury, 2010. A really relaxed gig with a goodly number of friends. with excelent singing by Isobel. Krista & The Bubble Band showing where fiddle is at these days. Sea Men's Church, Ramsgate, 2010. 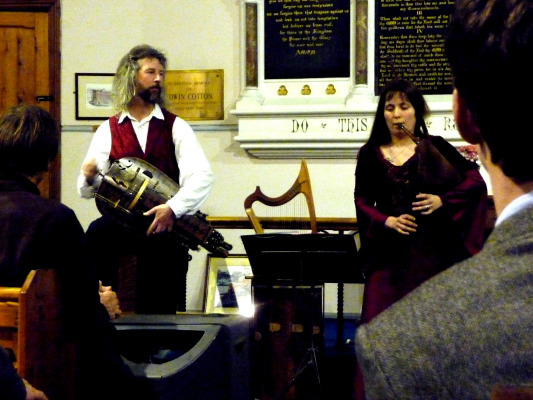 Hurdy-gurdies, pipes and more, a really interesting concert. An excellent gig with some good friends and enjoyable dancing. Follow the link for both photos and video. A good evening of freinds making music. A great evening of Cajun Dance and quality Country. Click on the photo for both more photos and video. Virtuoso pianist Younee is guest at a Dave Silk JazzNight. Click on the image for video. 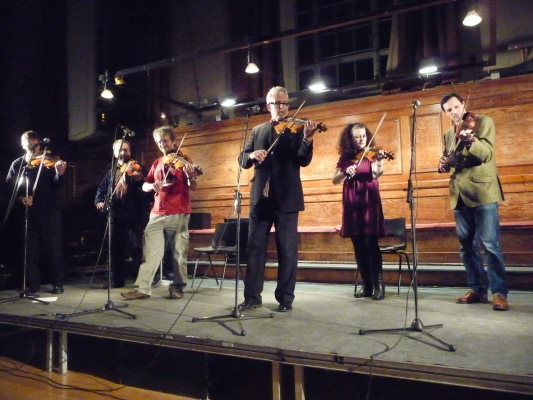 A good Sweeps 2010, with a number of new fiddlers. Click on the photo for video and more photos. King+Queen, Foley Street, London, 2010. 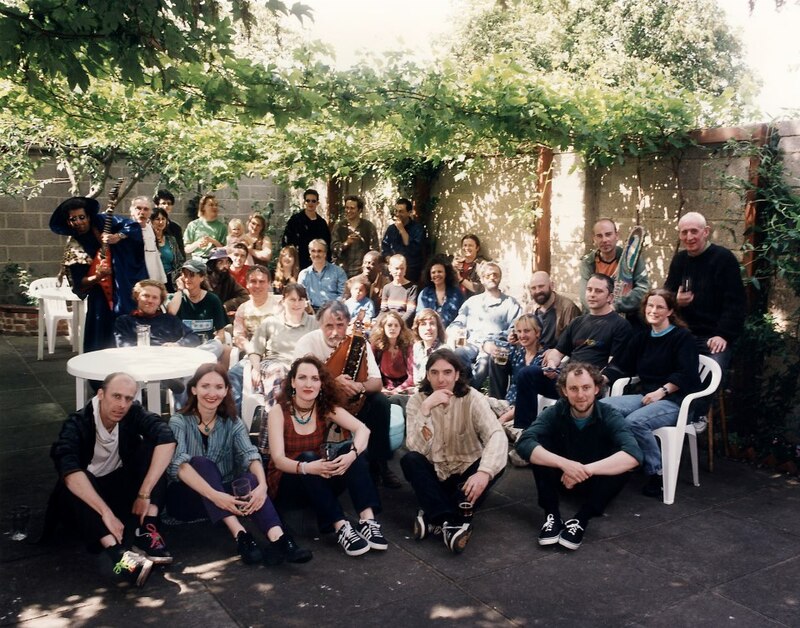 The Keith Summers Festival is a wonderful gathering of singers and musicians from Ireland, Scotland and Endland. The Grove Ferry Inn, Upstreet, Kent, 2010. A hot full-house evening of songs & tunes from the Southern USA. Barnaby Rudge, Broadstairs, Kent, 2010. Celtic and European music delivered by skilled and tallented lads (and lass). Hook & Hatchet, Hucking, 2010. Yves Langlois's annual return visit to Kent. An excellent weekend of music, friends and beer. An annual joint gathering of Oyster Morris and Creekside Appalachian for a dance and music session. 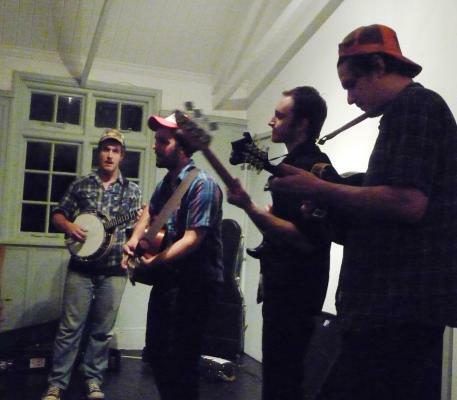 Infectious Bluegrass built around a single microphone in traditional style. Exciting, impeccably delivered bluegrass delivered acoustically by four skilled lads. A hot gig from Wheeler Street, to kick off the Faversham Hop Festival. Three Mariners, Faversham, Kent, 2010. A high-powered weekend of music, everything from international Irish to Blues to Rock. An excellent weekend of Maritime and other music. Plough & Harrow, Bridge, 2011.
at the new Fiddlers Various venue in Bridge. Feast of Fiddles, with Kent's own Ian Cutler, gave what to me was one of their best concerts to date, to a packed audience. The Carthys take Sweeps Festival 2011 by storm. Hunton Village Hall, Hunton, Maidstone., 2011. A most excellent evening's music from these remarkably good musicians. Anchor Inn, Wingham, Kent, UK, 2012. 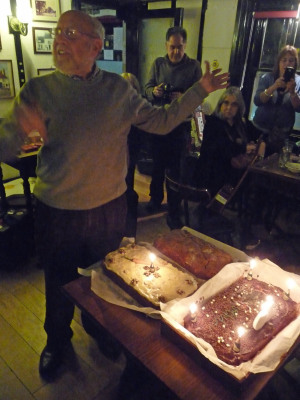 Ken Latham, on his 80th Birthday, among his musician friends at the Anchor Inn,Wingham,Kent,UK. Shanty singer Ken Latham sings "Shallow Brown". Plough & Harrow, Bridge, 2012. Another great gig from Saskia and Brandon. Remember to click on the links to get lots more photos and video for each gig. If you have festival info you wish to add, please do so - email me if you do not yet have a password. The venue where the folk club is held (DWMC) has won the prestigious Campaign for Real Ale Kent Club of the Year Award 2002! Friday Folk Club, Deal: Royal Marines Association (RMA Club), Deal (opposite the bandstand on Walmer Green). - meet every Friday in the upstairs room from 8.15 - 11pm. Folk At The Drum: Held in The Drum, North Stanford just off Stone Street which is just North of the Hythe Exit from the M20. - meets every Thursday from 8.00 - 11pm. Includes the old White Hart Folk from Hythe. Faversham Folk Club : The Chimney Boy, Preston St., Faversham. - regular every wednesday @ 8.00 for 8.30 pm. An acoustic club, most meetings being singers nights/come all ye's/open stage. MuzikMan : Not a club, but Mike is virtually a one man music industry - this is his gig list - so keep it up Mike. "Great music, great atmosphere and all welcome." the 'Change of Horses', Farnborough High Street, Orpington, Kent. 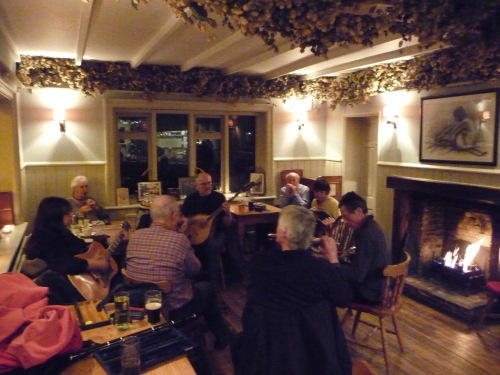 Orpington Folk Music and Song Club exists to promote folk music and song. Organisers Tel: Ted Handley : 020 8325 6513, Steve Jennings : 01959 532 754, Ivan North : 01689 870 197, Brian Bruce : 0020 8856 5711. Welcomes you to another summer season of ‘Open Stage’ afternoons for folk/Blues musicians and singers supported by Folk Band WATERSHED. 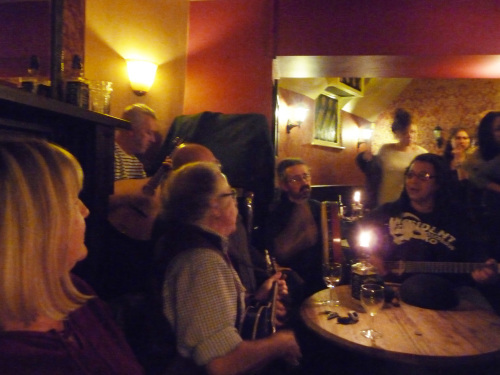 White Hart Folk Club - Has now been subsumed into "Folk at The Drum" - see above. THE ADMIRAL OWEN, 8 High St, Sandwich. CT13 9EB. Tel:01304 620 869. Good food with a great atmosphere and regular top qualiy music . An excellent Yamaha Grand piano in the bar - Clair is passionate about her music. You can pre-order your food online. CLAIR IS NO LONGER AT THIS PUB - A CRYING SHAME. The Barge, Layfield Road, Gillingham, Kent. ME7 2QY Tel: 01634 850485. 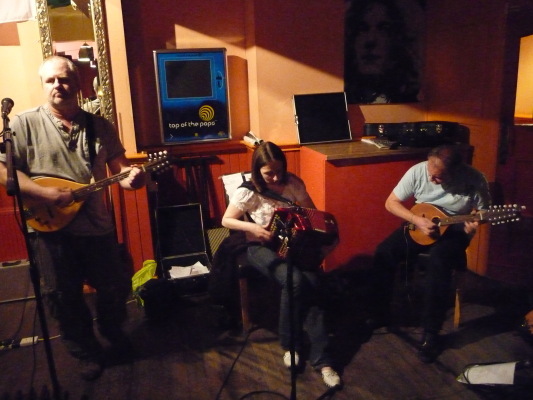 The Barge offers great music on Mondays and other selected nights. There are areas that facilitate those who just want a quiet chat with friends along with some of the best beer in the area. The rear Gardens afford superb views of the river Medway. This is a very pleasant venue on a warm summer day. Look out for regular BBQ's. THE CAJUN BARN, The Tudor Barn, Well Hall Rd., Eltham, SE9 6SZ. 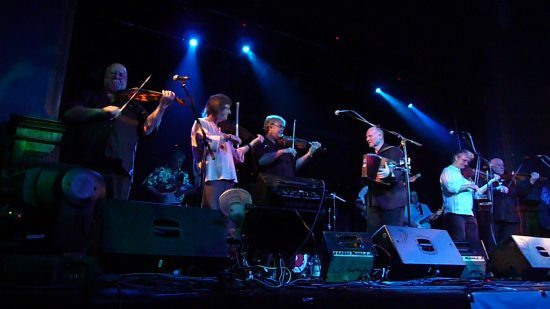 Tel:020 8850 2893.
International and national Cajun bands - dance the night away. The Compases Inn, Sole Street, Crundale. CT4 7ES. Tel:01227 700300. 15th Century Inn offers good food and friendly atmosphere. Celtic sessions on first and third Sunday evenings - very pleasing traditional venue with good acoustics. THE EAST KENT, Oxford Street, Whitstable. CT5 2DA. Tel:01227 270 018. Bar Food, Darts and Petanque, non-smoking area, children welcome, friendly to dogs. Central to Whitstable, with regular music. Has a triplet of rooms that form the acoustically best and most visually fascinating musical venue that I have been into. We may be lucky and get more music there. But there is music in the bar from time to time, where there is a baby grand piano. Excellent food with a good vegetarian choice. Recently re-opened, with new accomodation in a new 'barn' - visually quite acceptable. THE BEAR INN, 3 Market Place, Faversham, Kent. ME13 7AG. Tel:01795 532 668. A traditional pub that has been a good friend to music for many years. La Bougie Bistro, 5 Sandgate High Street, Folkestone, Kent. CT20 3BD. Tel:01303 226040. A stylish but friendly place for some of the best music. THE BOWL, The Street, Hastingleigh, off Stone Street, Kent TN25 5HU. Tel:01233 750 354. A friendly village pub with music of an excellent standard. FORDWICH ARMS, King St., Fordwich, Nr. Canterbury, Kent CT2 0DB. Tel: 01227 710 444. Sue and Sean O'Donnell welcome you to a traditional English Pub serving good food and cask ales. Restaurant menu, lunches 7 days a week, dinners excepting Sunday. Beer Garden by the river - idyllic . A long time supporter of Folk, you will now find Blues & Country as well. GEORGE INN, Stone Street, Nr. Stelling Minnis. Canterbury, Kent CT4 6DF. Tel: 01227 709 247, Fax: 01227 709 570. In a lovely rural setting, Country Restaurant/Ale House. For many years was an excellent home for celtic music! However after a trial period once again there is no celtic session, however Camine have a regular 1st Friday gig here. Box Office: Mon - Fri : 10.30am to 5.30pm; Sat (on performance nights) 6pm to curtain up. The Gulbenkian welcomes the disabled, please notify the box office of your special needs when booking. Tasty lunch time snacks (term-time), bar. Good intimate acoustics for folk. 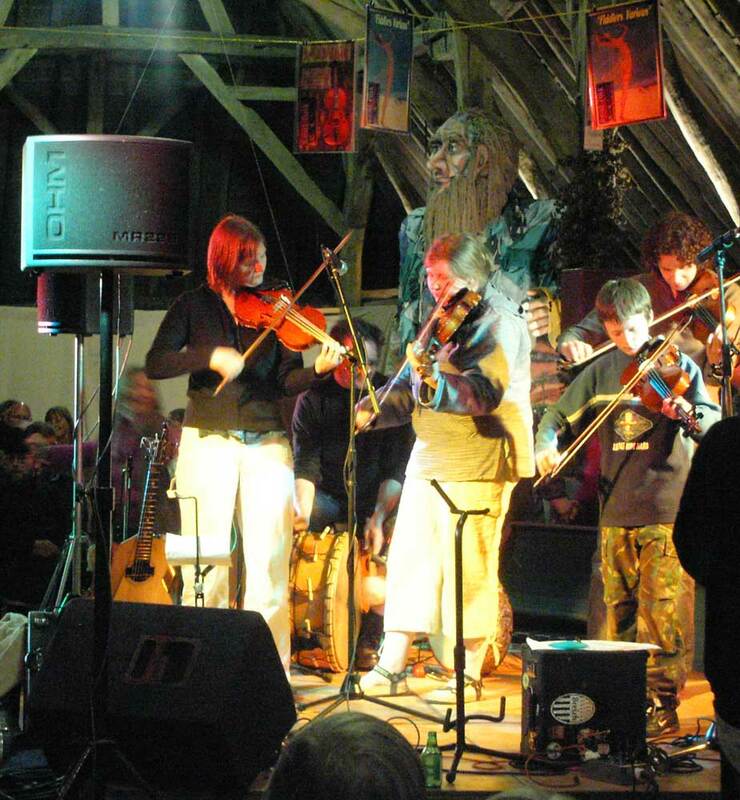 The Horsebridge Arts and Community Centre is located in the heart of Whitstable, Kent. The Centre was set up to provide a social, cultural and learning resource of high quality that is excellent value and accessible to all. A community & student friendly local that needs to justify its PRS licence fees. Mixed musical offering from Folk to Jazz, to Modern Acoustic. All food freshly cooked to order using local produce. Real Ales, now with Live Music on Thursdays. So it is not darts anymore on Thursdays - come, eat if you wish, hear some of Kent's fresh flowering musical talent. A pub at the heart of its village. Traditional Pub - the only one in Broadtairs with both a listed interior and exterior - well known for its music. Situated right on the beach in Whitstable, the Old Neptune offers good ale and a wide range of snacks. Cooked food is available up till around 4 in the afternoon. Live music from a variety of local bands and solo artistes on most Thursday nights. THE NEW INN, 2 Harnet Street, Sandwich, Kent CT13 9ES. Tel: 01304 612 335, Mobile: 0468 843 130, Fax: 01304 619 133. The Inn place to be in Sandwich. Quality Home Cooking & Accomodation, car park. A great turn out for the music, and they listen and dance! PATRICK CASEY's, Butchery Lane, Canterbury, Kent CT1 2JR. Tel: 01227 463 252. 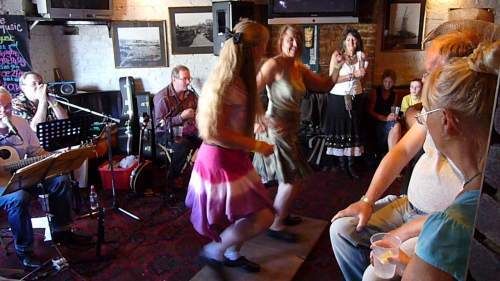 A mix of traditional Irish Hospitality, Music and Luncheons. Music every Tues, Thurs and Fridays at 9.00pm. Food served 'til 2.30pm. You don't have to be Irish to enjoy it. Conveniently in the city centre, frequent celtic and other music. Tasty lunch time food. - Still going strong - they must be doing something right. Prince of Wales, 9 High Street, Strood, Kent. Long known for excellent Celtic and Cajun music. 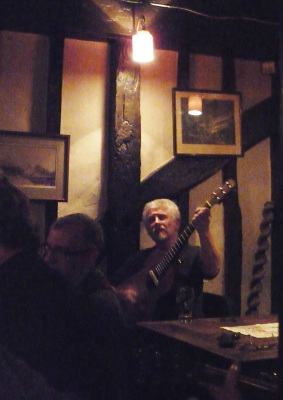 An excellent village pub with a real fire and real ales; a good supporter of music: A top quality French / European / Breton session with period instoments on the 2nd Monday of the month, and an open stage on alternate Thursdays. Rose & Crown, Stelling Minnis, Nr. Canterbury, Kent. CT4 6AS. RED LION INN, High St., Bridge, Nr. Canterbury, Kent CT4 5LB. Tel: 01227 830281, Fax: 01227 830 342. A family run village pub. Excellent food. Has had world-class blues players! OPEN AGAIN AFTER THE FLOODS, NEW MANAGEMENT. There is an outdoor stage, that was well used last summer. NOW A CURRY HOUSE - no music I am afraid. The Red Lion Hotel, Canterbury Road, Wingham, Near Canterbury, Kent. CT3 1BB Tel: (01227) 720 217, Fax: (01227) 720 112. An excellently run village pub, in a Grade II listed period property with its origins in medieval times. Good food and accommodation, reservations@redlionwingham.co.uk. 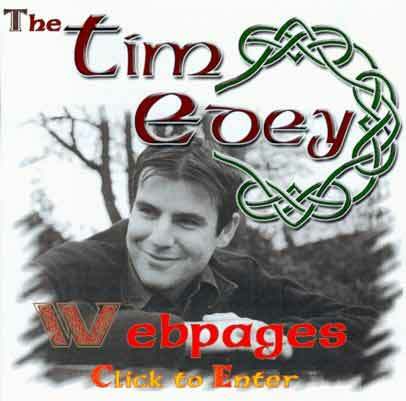 Has started hosting good celtic music! - so do support them. 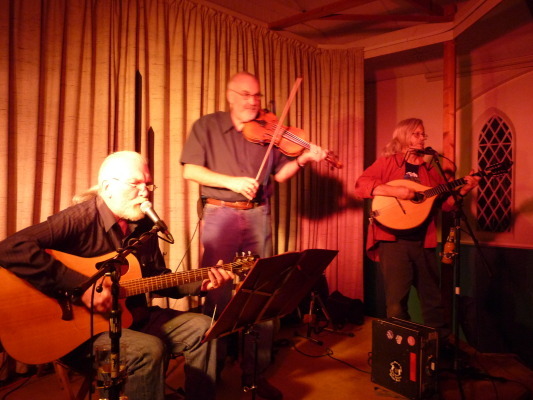 A new venue that is giving us some great folk music. A popular town centre pub with good music. A cosy and friendly back street pub, with a garden. Bar food, children and dogs welcome. 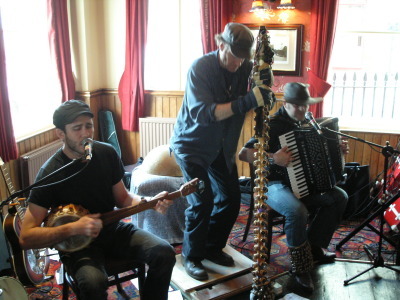 Jazz most Sunday afternoons at 3.30, with blues and folk some Sunday evenings (8pm start). Country Ale House in the City. 9 hand-pull pumps + local cider. Log fires and terrace garden. Country style cooking, medieval hall for functions. A remarkably unrestructured 1350/1450 pub that is a keen supporter of folk, blues and jazz. Now styled as "Parrot", no music no more. A crying shame! And the wonderful tables have gone." An excellent thatched barn, one of the longest in the country. The Music Box : An up-and-coming venue for live music. Wholesome pub food during day and evenings. Once a month they clear some of the tables (no food) and there is live music - there is room to dance, and they do - everyone is there for the music. Long since gone, as I hear. THREE HORSESHOES, Lower Hardres, Canterbury, Kent CT4 5NZ. Tel/Fax: 01227 700 333. Country Pub serving cask beer and real food, friendly atmosphere party bookings welcome. Regular live music with Jazz on Friday nights and Blues on Wednesday nights. Picturesque garden with panoramic views of the surrounding countryside. Long known for its jazz, now you will find blues and traditional as well. I REGRET THIS EXCELENT VENUE IS AGAIN SHUT, THE LAST I PASSED. Fun and lively city pub, friendly atmosphere. Double spirits @ 1.60. Regular events and live music. Lunches Mon-Fri & Sun, evening meals Thur/Fri. The new landlord and landlady, Terry and Tracy, have given the place a definite lift and have also been very good for the Folk Club. WROTHAM ARMS, 9 Ramsgate Rd., Broadstairs, Kent CT10 1QQ. Tel/Fax: 01843 861 788. Friendly atmosphere where people listen to the music. Fine Ales. Pool, Darts and Crib. Bed and Breakfast. The home of much excellent music, including Cajun. Saturdays are jumping! - A reliable venue for those in search of good music. An idyllic traditional country Inn, set deep in the heart of the beautiful Kent countryside, somewhere between yesterday and tomorrow. The Yew Tree Inn promotes local real ales from a number of micro breweries including, Hopdaemon, GADD's and Whitsable Breweries. Music every Thursdays. An excellent pub now being run by a young couple who love their music and serve excellent beers and ciders, please do support them. They are open all day every day; also go see the fascinating Barfrestone church. New land-lord - I hear there is music, but have not got there yet. UK maps and postcodes - UK and London maps, accessed by name, grid reference or postcode. 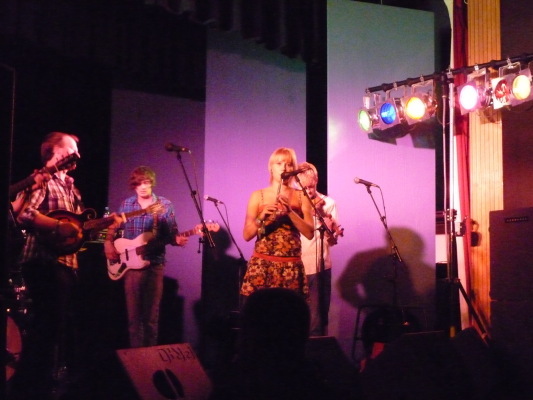 Make that party a special one with live music - Folk, Celtic, Blues, Cajun and even Gypsy rhythms, there are excellent local musicians for every taste and every occasion, be it a wedding, a wake, a barn dance, a bar mitzvah, a ceilidh, or a pub gig. 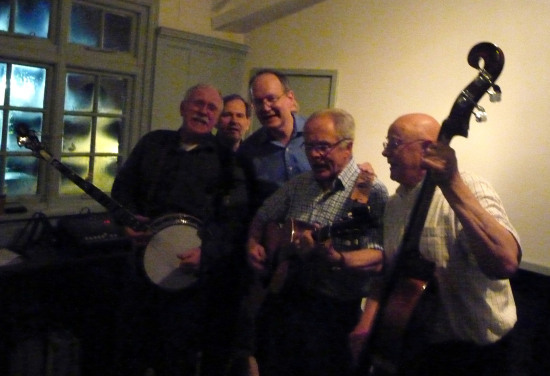 Experienced barn dance band with caller, offering a lively mix of fiddle, guitar and concertina. Barbara Kelly, and Ralph Jordan. Mike Wheeler - melodeon & anglo concertina, Ruth Cronk - caller, English Concertina, also sometimes Paul Slater - mandolin, bouzouki & tenor banjo, Sheilagh Bradley - guitar, and Judy Knight - whistles. Pete Fyfe and Garry Blakeley. Anglo-Canadian mix of Banjo, Fiddle, Mandolin, Dobro, Double Bass, Harmonica and Percussion and featuring Five Part Vocal Harmonies. An eclectic mix of Cajun, Blue Grass, Celtic, Balkan, Western Swing and Blues. Yves Langlois - fiddle, lap slide guitar, guitar, vocals, and Chris Taylor - accordian, harmonica, bouzouki, guitar, vocals. Driving Cajun music from an excelent four to seven piece band - dance away the evening to the Loisiana French lyrics. - But now no more ... CDs : "stompin'", Cajin' on the edge, Touiller". Yves Langlois - fiddle, vocals, Trevor Stephenson - guitar, lap slide guitar, wash-board, percussion vocals, Chris Taylor - guitar, accordion, banjo, harmonica, Nina Taylor - percussion., - Cajunologie MP3 music. - Cajunologie's new CD Touiller : listen to MP3 tracks, buy CD over Web. Most excellent fiddle, whistle, guitar. Top traditional Celtic music, with wonderful harmony singing from the twin sisters. Get them to sing some of their own songs! CD : Kite (Jacobs Ladder). 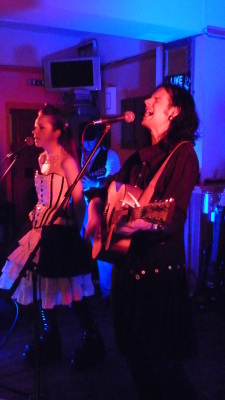 Ramona Egle - fiddle, whistle, vocals and Zinta Egle - guitar, vocals, sometimes assisted by Andy Renshaw. - Camine photos and MP3 music. Carole Noakes will bring her large and varied collection of wind instruments to your school to give presentations in which children have plenty of participation. Presentations are suitable for all children from nursery and kindergarten age up to Year 9 (age 13) and can be enjoyed equally by mainstream schools and those with special needs. Children's end of term barndance/ country dance, and a Christmas entertainment is also available. The least serious Country band in the UK. 07984 464296 Pat the Yodel - vocals and guitar, Pat the Pogue - mandolin and vocals, Pat the Scrump - banjo and lapslide, Pat the Plank - bass, Patricia the Squeeze - accordion, and Pat Grimaldi - drums. Four piece band playing an original blend of Irish and Greek traditional dance music, with mostly Irish songs. Catch them if you can. CD : First Step. Silver and wooden flutes, tin whistles, guitar, flaming mandola and Greek bouzouki, bodhran, bongos, bottleneck drum, piano accordian. Jim O'Shea, Dimitris Michaelidis, Mike Aherne and Pete May. E-mail : info@floridaproject.org.uk - a unique fusion of swing / jazz / trad folk / folk rock. 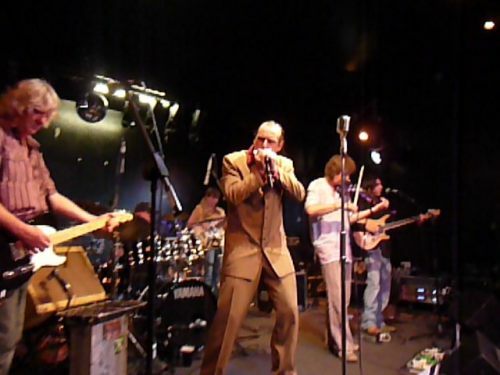 Excelent Blues from a six piece line-up that will be no stranger to those that knew the early Cajunologie. Joe Evans - guitar, vocals, Trevor Stephenson - guitar, vocals, Ian Balchin - guitar, vocals, Frank Bartoli - bass and Pete Jones - drums. deliver a collection of great songs gathered over years - songs which say something real and immediate from the best of American and UK writers, with jazz/blues standards and the occasional gem from Europe. Sue Hudson - vocals and guitar and Cliff Baylis - vocals, mandolin, guitar. 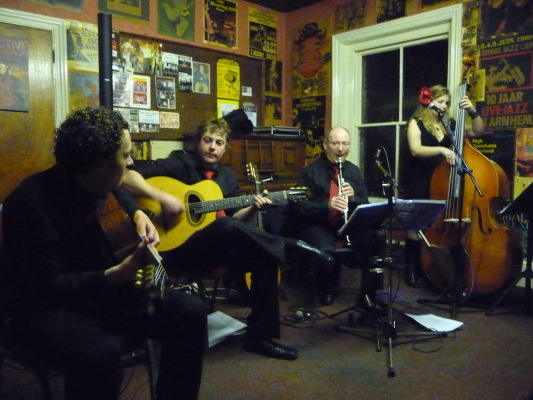 - pro five piece band, playing jive, jazz and swing music. Original music, with folk and country influence. Iain Spink - singer/songwriter, Heather Grabham - whistle, singer/songwriter, and Chris Taylor - harmonica, guitar and bazouki. Music of the Americas, old and new. Excelent three-part harmony, harmonica, lap slide guitar, acoustic guitar and tenor banjo. Trevor Stephenson - acoustic guitar, lap slide guitar, vocals, Ian Balchin - lead vocal, harmony vocal, acoustic guitar, tenor banjo, Al Clark - lead vocal, harmony vocal, harmonica. Definitely HOT : hot fiddle, hot guitar, hot bodhran. 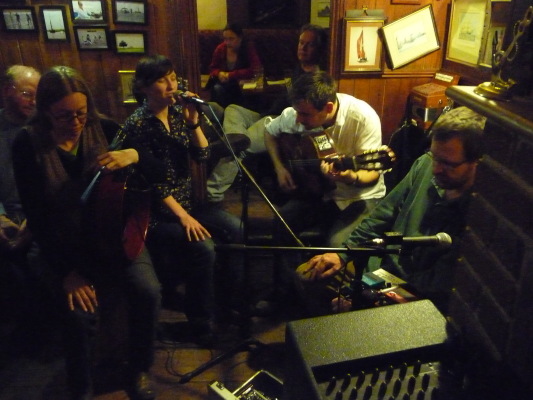 Dynamic Celtic folk rock, with the occaisional trip to Moscow! Doug Hudson - guitar, vocals, Ian Cutler - fiddle, Mike Peters - bass, and Tony Rico - Saxaphone, Didgeridoo, + other wind. Blues of the highest order. Yves Langlois - fiddle, lap slide guitar, vocals, Trevor Stephenson - guitar, lap slide guitar, vocals, and Nina Taylor - triangle. Yves Langlois and Nick Peachey. Laura Targett, Lucy Randall and Pete Gazey. Laura and Lucy have just won the Wiltshire award for Young Folk Musicians of the Year. Laura is on walk-about mostly these days ... - OF MP3 music. --> - Monkey Puzzle gig photos and MP3 music. Marian MacGregor, Robert Dyer and Rick Dyer. While Laura is on walk-about, you may be lucky and catch multi-instrumentalist TimEdey playing with NRE. Kevin Smith. - photos of OF - Fling MP3 music. John Jones, Alan Prosser, Chopper, Lee and Ian Telfer. Davey Slater, and Christa Uphill. 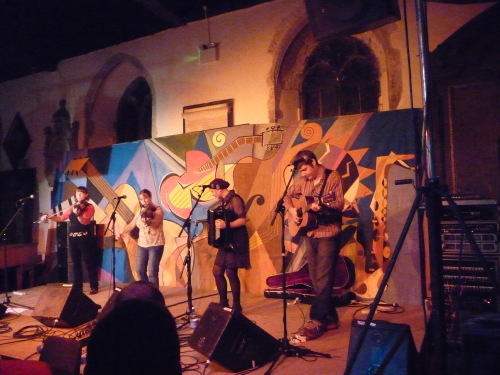 One of the South-East's longest established ceilidh bands. James Armstrong, Serena Davies and SimonDundas. Euro-Celt - pan-european songs and original compositions, some from the dark side. - Putting the 'fun' back into folk with fiery up-tempo fiddle, evocative low whistle, great vocals and driving guitar all underpinned with groovy bass. Traditional at heart with a contemporary soul. Ramona Egle, Chris Sadler and Dan Johnson..
Charlie Higginson, and Ford Elliot. Alan Davis, Chris Davis, Robin Mears, Bob Kenward, Jane Clark. Carole - accordion, whistle, guitar and Pamela - fiddle, tenor banjo, guitar, bass. Carole - accordion, whistle, guitar, Pamela - fiddle, tenor banjo, guitar, bass. Gill - 5 string banjo, ukulele, guitar, Nick - double bass, lapsteel guitar, and Steve - melodeon, fiddle, guitar, whistle, concertina. Bob Fridd - vocals/guitar, Alan Clark - Harmonica, Liam Humberstone - guitar, Robin Elinor - fretless base, and Bill Johnson - drums. Excellent Cajun Music, great to dance to. Yves Langlois - fiddle, guitar, vocals, and Chris Taylor - guitar, accordion, harmonica. 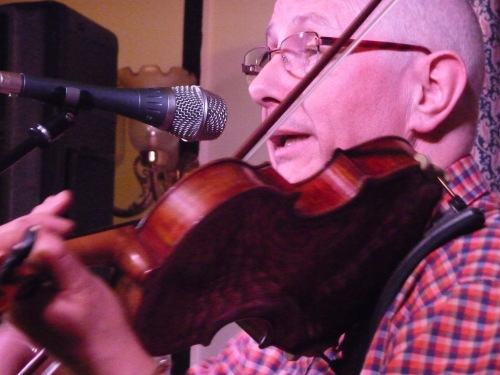 Adrian Hackford : 01303 863 787 - fiddle - his jazz fiddle is a delight. Alan Clark - excellent harmonica. AlanProsser - Oysterband - guitars, mandolin, vocal. Almond Greenway - e-mail: www.almondgreenway.com - guitar, vocals; song-writer. Andy Perkins : 01795 590 374 (shop) or 01795 533 864 (home); e-mail:andybanjo@aol.com - tenor banjo. Andy Renshaw : 01227 831 211 Web: www.camine.co.uk e-mail:andy@camine.co.uk - mandolin, bodhran and other percussion. Barbara Kelly : 01795 531301 Web: www.A2barndanceband.co.uk e-mail:barbara.kelly2@virgin.net - fiddle, vocals. 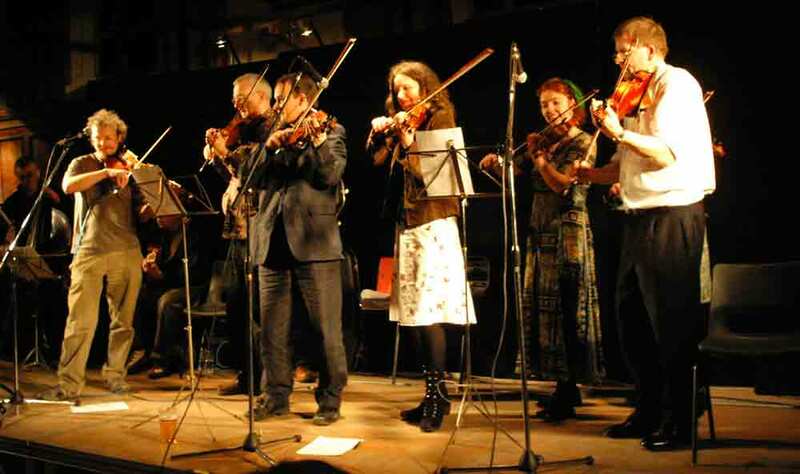 - an experienced fiddler with a wide range of music. Brian Rodgers : Web: www.folknet.co.uk/noworries - guitar, lead vocals. Bob Fridd - guitar, vocals. Carole Noakes : e-mail: springers@springersmusic.co.uk, Web: www.springersmusic.co.uk - accordion, whistle, guitar. Charlie Handley e-mail: charlie.chrissie@virgin.net Web: www.triality.co.uk/ - trumpets, flugelhorn, cornet, vocals. Charlie Higginson : 01233 624 464 e-mail:Higgi@ukf.net - guitar, mandolin, penny whistle, vocals, triangle. Chopper - Oysterband - bass, cello, vocal. 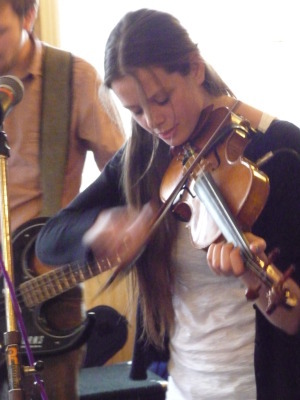 Christa Uphill : 01843 869 849 - fiddle, electric fiddle, vocals. Chris Warner e-mail: ct.warner@virgin.net Web: www.christopherwarner.com/ - bass, vocals. Cliff Baylis : e-mail: cliffb@ylis.co.uk, Web: www.folknet.co.uk/cliffbaylis - mandolin, guitar, whistles concertina, vocals. Dave Auty : Hythe 01303 779141 e-mail:david.auty@usa.net - flute, whistle. Dave Ferra : 01304 240 667 - guitar, vocals (Acoustic Blues & Ragtime). CD: The Road to the Blues. Davey Slater : 01843 869 849 - guitar, vocals. Dimitris Michaelidis - masterful mandola and virtuoso Greek bouzouki. Ford Elliot : 01233 624 464 - fiddle, piano accordian, mandolin, banjo, guitar, vocals. Frank Bartoli - guitar, vocals. Garry Blakeley : 0208 680 4302 - fiddle, vocals. Gavin Atkin e-mail: gmatkin@googlemail.com Web: home.clara.net/gmatkin/homepage.htm - guitar, fiddle, vocals. Geoff Easeman : 07702 217418, 01732 742947 e-mail: geoff_easeman@onetel.com - guitar, bass guitar, mandolin, mandola. Geraldine Aldridge - vocals, whistle, bodhran. Gerry O'Brien : 01233 634 752 - fiddle. Gill : e-mail: nickandgill@sandsn.fsnet.co.uk, Web: www.springersmusic.co.uk - 5 string banjo, ukulele, guitar. Heather Grabham - whistle, singer/songwriter. Ian Balchin - guitar, tenor banjo, vocals. IanTelfer - Oysterband - fiddle, concertina, vocal. Jack Pound : 01303 262 052 - guitar, vocals. CD : "low profile" - photos & MP3 music. James Armstrong : 01843 570495 , mobile: 07769 723 760 e-mail: jamesarmstrong@ymail.com - guitar, vocals. Jim O'Shea : 0966 105 516 - silver and wooden flutes, tin whistle, guitar, vocals. John Jones - Oysterband - lead vocal, squeezeboxes. Judy Knight - whistles, English / Irish Sessions. Katie Bradley: 01303 271 626 e-mail:Katie@micronet.co.uk - You will go a long way to find a better Blues singer. Lazo taught Saskia and Laura - no more need be said. Laura Targett : 01227 700 695 - fiddle, whistle. Laura has just won the Wiltshire award for Young Folk Musician of the Year. Lee - Oysterband - drums, vocal. Liam Humberstone : e-mail:lph4@ukc.ac.uk - guitar, bass guitar. Lucy Randall : e-mail:bodhraninfo@yahoo.co.uk - bouzouki, whistle, bodhran. Lucy has just won the Wiltshire award for Young Folk Musician of the Year. and also for Young Instrumentalist of the year. Luke Smith : http://www.bejo.co.uk - keyboard, vocals. CD : "It's not wrong, it's just different". MP3 music. Marian MacGregor : 01303 261 045 - vocals with a gentle lilt. Marian Rodgers : Web: www.folknet.co.uk/noworries - percussion, vocals. Martin Young - 01795 538 238 CDs : Botany Bay, The Climbing Boy. Web: www.medievaltheatre.co.uk Web: www.christaylorsallstars.co.uk e-mail: :young.martin@tiscali.co.uk. - guitar, cittern, vocals. Matt Dowell : 01304 824167 - guitar, bass; songwriter. Mike Aherne : 01304 360 669 - bodhran, bongos, bottleneck drum. Mike Peters : 01227 264 026 e-mail:mike@muzikman.freeserve.co.ukaol.com - bass guitar. Nick Peachey : 01227 762 147 - piano accordian, banjo, vocals. Nick : e-mail: nickandgill@sandsn.fsnet.co.uk, Web: www.springersmusic.co.uk - double bass, lapsteel guitar. Nina Taylor : 01227 731 549 e-mail:ukulele@lineone.net - triangle, percussion. Pamela : e-mail: springers@springersmusic.co.uk, Web: www.springersmusic.co.uk - fiddle, tenor banjo, guitar, bass. Paul Carr : e-mail: paul.pcarr@blueyonder.co.uk Web: www.mrmedway.co.uk CDs: Garden of England and Effin Rochester. - comedy self penned songs about Kent and ballads. Pete Fyfe : 0208 680 4302 Mobile : 07718 522060 e-mail:petefyfe@aol.com - guitar. vocals. Polly Perkins - caller & percussion. Ramona Egle : 01227 786 126 - fiddle, whistle, harp, drums, vocals. - wonderful harmonies with her twin sister. Ray : 07984 464 296 - banjo, guitar, lap steel, appalachian dulcimer, mandolin. Big Muddy Bluegrass Band and also The Cowpats. Rich Hall - 01634 713712 e-mail: richard.n.hall@blueyonder.co.uk - bass guitar . Richard Goodwin e-mail: richard.goodwin@zen.co.uk Web: www.morphology.co.uk/richardg/index.htm - saxophones, taragot, klarnet, chalumeau, wind synth, whistles, keyboards, assorted percussion. Rick Dyer : 01303 261 045 - guitar, banjo, harmonica, vocals. Robert Dyer : 01303 264 377 - guitar, mandolin, vocals. Robin Elinor : - fretless bass. 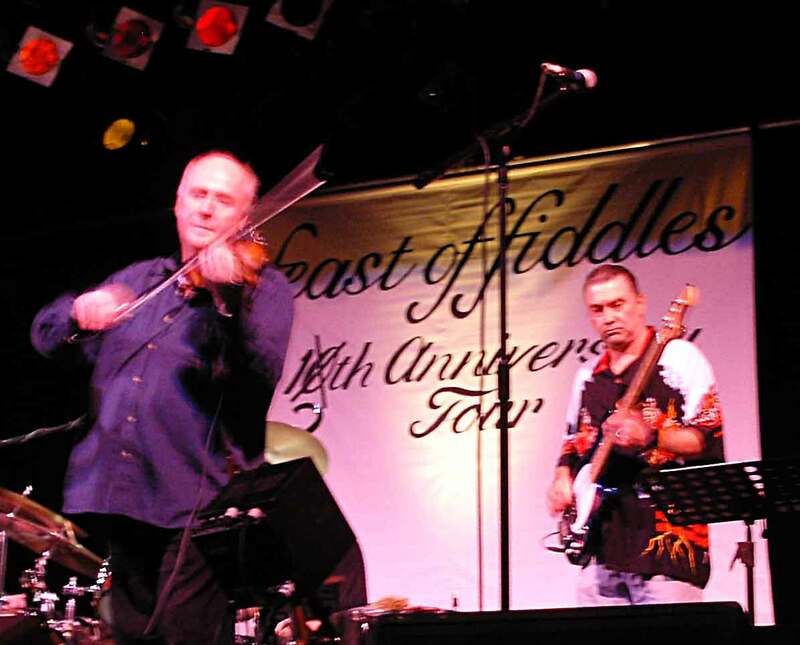 Exquisite fiddle - folk, celtic, Cajun, classical, jazz. Now living in Canada, Saskia returns to Kent from time to time ! Serena Davies - fiddle and Irish dancing. Simon Dundas - mandolin, melodeon, guitar and whistles. Steve Winchester : Web site: www.stevewinchester.co.uk - guitar; singer - songwriter. Steve : e-mail: springers@springersmusic.co.uk, Web: www.springersmusic.co.uk - melodeon, fiddle, guitar, whistle, concertina. Tim Edey : 01843 604 432 e-mail:TimEdey@Postmark.net, CelticFire@Postmark.net - guitar, banjo, other plucked strings, melodeon, keyboard, whistle, flute, bass. CD : Daybreak. Tim has played with Sharron Shannon band (guitar), Steve Cooney, Ed Boyd(flook), Anam, Irish folk ballet company, Michael McGoldrick and many more. Now Tim and Saskia is quite something. Tim Bull : e-mail: timbbull@aol.com - melodeons, vocals. Trevor Stephenson : 01227 731 549 e-mail:ukulele@lineone.net - acoustic guitar, lap slide guitar, vocals - a man of many parts. 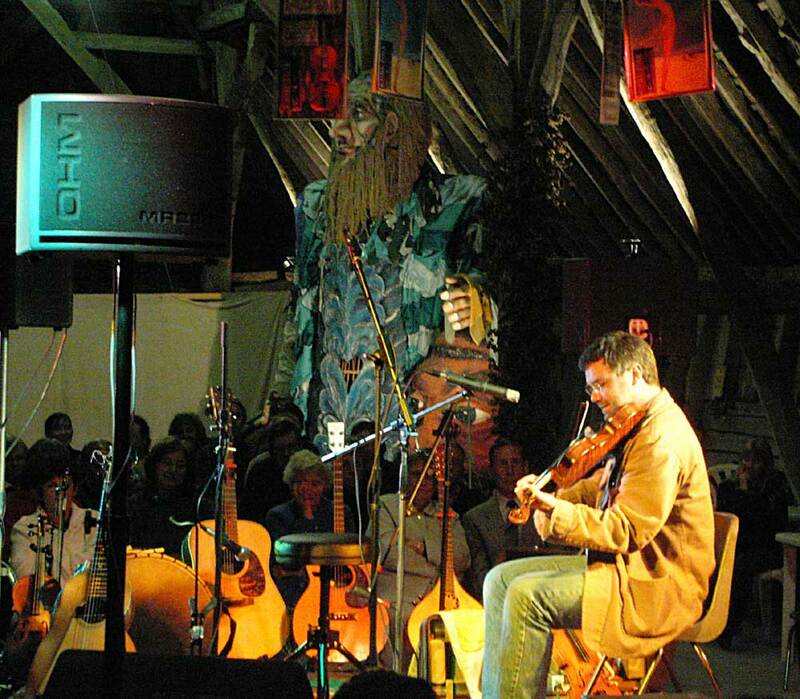 Yves Langlois : 01227 779 178 - wonderous Cajun and other fiddle, guitar, lap slide guitar, vocals; songwriter, perhaps the best cajun songster in the world. Zinta Egle : 01227 786 126 - guitar, vocals - wonderful harmonies with her twin sister. So e-mail me with items for this section. And if you make a purchase or sale through this web page, I would be obliged if you would tell me. do check it out, I will certainly be listening regularly. Sun Pier, Chatham, Kent ME4 4EZ." Private Bodhran and other percussion tuition. Tel: 01227 831 211 e-mail:andy@camine.co.uk. And if you have heard Andy or Ramona you will know the high standard of their percussion. Violins & family, Plucked Strings, Free Reed, Wind & other. tenor banjo, english, irish & scottish music. Teaches all kinds of banjo and mandolin. Tel: 01795 590 374 (shop) or 01795 533 864 (home); e-mail:andybanjo@aol.com. Kai Tönjes has been making musical instruments for the past ten years. After a thorough training first in Germany, then Scotland and London, he has set up his workshop in Sittingbourne. He is concentrating on making Irish bouzoukis and violins and their relatives (mandolins, citterns, violas, viola d'amores). Each instrument is individually made by hand to high standards of craftmanship. All instruments can be made to the customer's specifications to suit their individual needs. Repairs are undertaken as well as the sale of some accessories. More information available on request - standard models currently in stock. Visitors to the workshop are welcome, please phone first. 11 Ness Road, Lydd, Romney Marsh, Kent. TN29 9DR. Instrument maker since 1989, concentrating mainly on early stringed instruments such as lutes, historical harps and guitars. Has also made members of the mandolin family and clssical guitars as well as repairs to numerous other stringed instruments. Andy Renshaw has a new book out, a collection of over forty traditional tunes, plus extensive notes collected over the twenty five years or so he has been playing traditional music. 15+ years playing experience. Styles include Folk. August 28th to 31st 2008. A long weekend of Fiddle based workshops, performances and competition. There are workshops available for Juniors to Senior, absolute beginners to the more accomplished fiddler. Our 2008 tutors are some of the country's foremost masters, from Wales, England, Scotland, Ireland and Sweden. & The Kings Hill Community Hall, Kings Hill. Classes for children and adults of all ages. Please visit the website for timetable and details. Freelance teaching, coaching and choreography also available. Trad & Contemporary Song Styles. £15 Per Half an Hour. This Sittingbourne based studio is aimed at recording and production projects featuring local artists and singer/songwriters from solo singers singing your favourite song to a backing track to full music production. Services offered including recording, demo CDs, mixing, singer/songwriter production, vocal tuning, vocals recorded to commercial backing tracks, voice-overs, music production, cassette transfer and audio restoration. At the Dining Room Studio, we believe it is important to make the client feel comfortable. Our expertise is there to help you be at your most creative just when you need it. We believe the secret to a good recording is a great performance, get that right and the rest of the process is building upon a solid foundation. That's why we strive to allow your creativity to flow. We also make great coffee! - they have some class folk and blues on in the Gulbenkian. - the Marlow theatre in Canterbury. Working to keep traditional arts vibrant and relevant for this generation - to preserve them for the next. .
ArtSouthEast is designed to be a 'one-stop shop' for arts information in the south and south-east of England. - the Irish Music Magazine. Find out what is happening world-wide in Celtic music. - Tradition magazine - featuring: mainly British Traditions & Customs., Music, Song & Dance History, Folklore, Myth & Legend, Traditional Ways of Life, CD reviews, Diary. 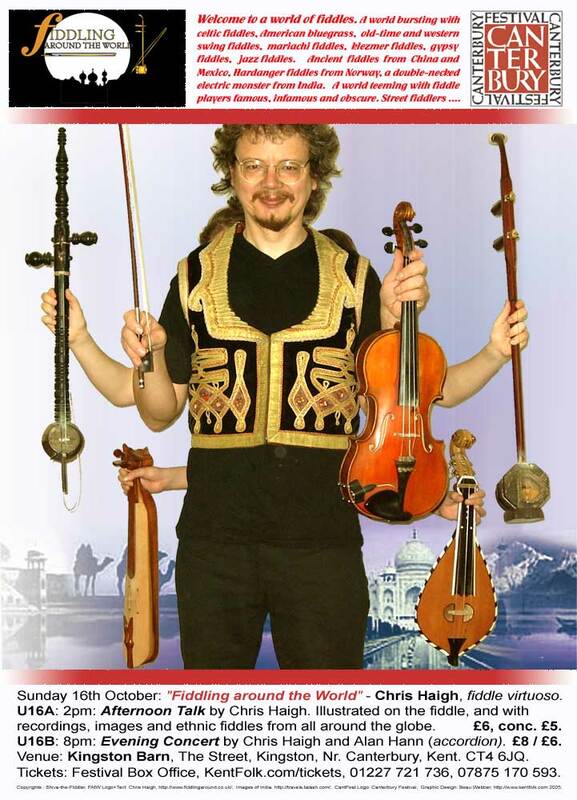 - Musical Traditions Internet Magazine. The Magazine for Traditional Music throughout the world. Run by traditional musicians for traditional music. Join a national and international community of fiddle players. An excellent resource for the fiddler, or those who like the fiddle. - FiddleNet! Information on Old Time Fiddling, upcoming contests, and links to fiddle sites all over the world. 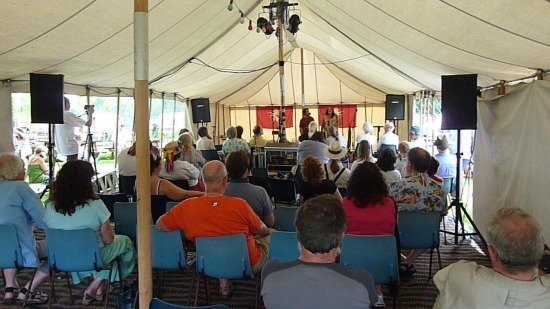 - A guide to the folk and acoustic scene, with information about UK folk gigs, folk concerts, folk festivals and hundreds of links. 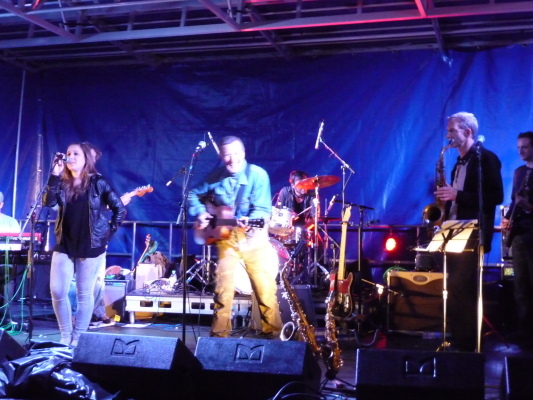 - the wider scene of music in Kent. - Louisiana and Cajun Websites. 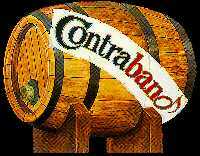 - Contraband, one of Kent's top barn dance bands. - Natalie MacMaster's home page. - Chris Haigh's "fiddling around the world" pages. 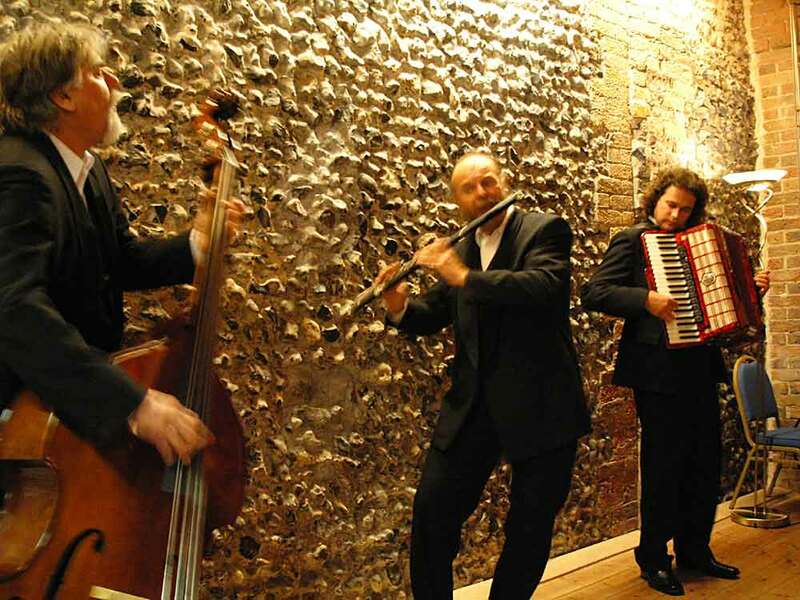 Top quality Klezmer : Klezmania. Also the very different Kremlinaires. - Cathryn Craig and Brian Willoughby's home page. - UKC music society - there is some good music at the University. - David Auty's whistle pages. - Paul Slater's mandolin pages. - Tim Edey : Kent based international multi-instrumentalist. - Happy Trails: Music of the Americas, old and new. Excelent three-part harmony. - CELTS and CLANS Irish Imports (USA) : Irish / Celtic ware. 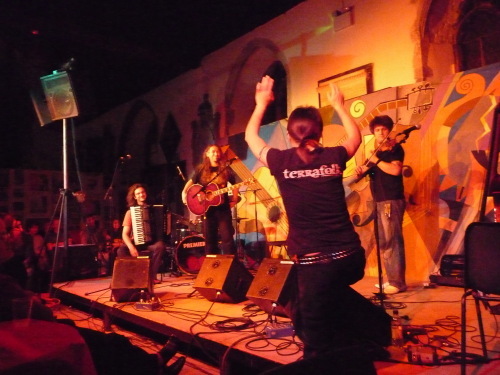 - Trigallia : Italian biennial celtic festival. - Celtica Magazine : Italian magazine concerning celtic culture and music. function bands, wedding bands, musicians, entertainers and related hire services to help plan events throughout the UK. We also run a London based entertainment agency and have a free to use entertainment forum! http://ekmm.org.uk - East Kent Morris Men - what's on and other info. Cecil Sharp House - the headquarters of the English Folk Dance and Song Society. Cecil Sharp Cajun dances - Gig list for Cajun dances at Cecil Sharp House. Cajun dances - Gig and band lists for Cajun dances. 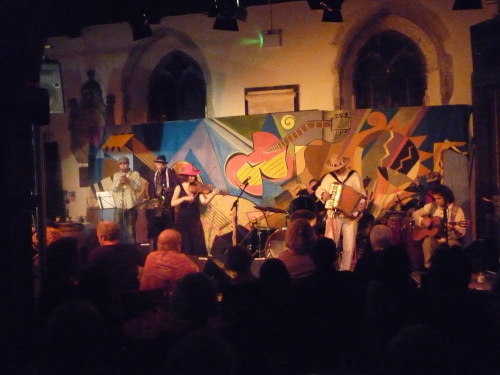 http://www.cajunuk.freeserve.co.uk - Regularly updated list of all Cajun & Zydeco gigs. Cajun Times Online! - Cajun news and gig listings. http://www.guestlist.freeserve.co.uk/guestlist.htm - National list of performing artists. http://www.folking.com - National gig list. http://www.showofhands.co.uk - Show of Hands. http://whatson.brighton.co.uk/folk - Sussex Folk Guide website. http://users.tinyonline.co.uk/fizgig-tom/index.htm - Linconshire music website. Irish-music.net - CDs, festivals, summer schools, and more. Clare chat room - There is good music in the County Clare. www.bgbooks.net/folk.html - Bulgarian Folk Music. Folk Music on www.indiemusicauthority.com - information on independent music. The Little Bazaar - CD Duplication, Audio Mastering & Media. www.propermusic.com - specialises in selling Jazz, Folk, Country and Blues CDs. Thames sailing barge Greta. - Information about Thames sailing barge Greta. MP3 player - Destiny : a lean, mean, and totally free media player, only 0.4MByte. MP3 recorder/player - MusicMatch Juke Box : full of facilities(plays direct from web browser, make your own MP3 files), 7MByte. Wave and MP3 recorder/editor - CoolEdit : a powerful tool (edit your own music wave files, make MP3 files), 8MByte. eFolkMusic.org - an excellent legal source of both free and cheap folk MP3 files. Arts -> Music -> Sound_Files > MP3 - dmoz open directory : sources of MP3 music files. Arts -> Music - all categories of music ! Regional -> Europe -> United_Kingdom -> England -> Kent - local Kent links. I have now written programs that can read gig list information directly from certain web pages (with the authors' permission) see the link below, and this is now the easiest way for me to update the calendar; however I am also pleased to receive gig information by email, preferably in the same formats. In time it may be that bands, publicans and fans will have to do the bulk of the entry for the gig information, but our first attemt to build a web site where people could add their own gigs and do reviews was not used, so we have folded that - it was complex and needed an expensive site to host it. If you run a local folk club, I now have a separate section with a few paragraphs on each - would you be so kind as to email me some text about your club, as well as photos, & logos if you have them. If your local has gigs that I am not listing - email them to me and I will list them - I can not chase all over Kent. Similarly if you have a local rag that I do not get, rip their weekly gig list off for me ! If the pub is not on my list, please get the address, telephone number and most importantly the postcode (I use that for an electronic map). If you have an event coming up, email me and I will try and find the time to place it on the calendar. If you are a venue with lots of regular listings, a little cash to cover my time would be appreciated, and would ensure prompter attention. Please email me about gig listings that you would like posted, or leave a message on my answer phone. Phone: Canterbury (01227) 721 736. Photos: Beau Webber, unless otherwise noted. Thanks to Laura for letting me use as a logo her fiddle with the excellent fingerboard that she painted.